Tower Systems hosts POS software user meetings around Australia | A blog about smart POS software for independent small businesses. We will add dates for regional centres and New Zealand at a later date and there will be online sessions. The Tower Systems Pet Shop software is the industry standard, the benchmark. This software will be on show at the Pet Expo on the Gold Coast in ten days time. Used by pet shops around the country in shopping centres, on the high street, in the city and in the country, this pet shop software is powerful and valuable to businesses of all sizes and types. It is smart, regularly enhanced and capable of delivering valuable outcomes for pet retailers. Most important, this software helps pet retailers more effectively and thoroughly compete with the national chains in the poet food and produce space. It is a point of difference for the Tower Systems software – that it helps independent and small business pet retailers so effectively compete. The Tower position in the pet space is one of leadership. This leadership manifests itself in a number of ways including the Tower support for the channel on a range of important fronts. Tower Systems is proud to be Platinum Sponsor of Pet Expo – October 8 and 9 on the Gold Coast. We have funded this substantial sponsorship to offer practical support for independent pet retail businesses. Visit our stand at Pet Expo and see the best-practice standard Australian pet shop management software for independent pet retailers. See loyalty facilities that are powerful and flexible from buy X get Y to points per purchase to the amazingly successful discount vouchers. See the easy way to bring new stock into your business accurately thanks to electronic invoices. See fast, easy and accurate selling. See how you can reach out to customers based on anniversaries and other important dates. See reports that you make better quality business decisions. Find out how you can seamlessly link to your online store. This is Australian software designed for Australian businesses. Pet shop owners and managers have a direct say in the development of enhancements that improve the software several times a year. Beyond good POS software and what users of POS software expect from their software company supplier, Tower Systems provides small business retailers with services that delve deep into their businesses. POS software for Tower System sis the mechanism for helping small business retailers to more effectively compete. It is the platform, if you will, for delivering a suite of services about which the folks at Tower are most passionate. Only serving small business retailers in selected specialty retail nights, Tower Systems wants to see independent retailers in these niches succeed against big businesses. It achieves this by overhang services and assistances beyond the software, that are facilitated through the software. This is unique for a POS software company – to say the software itself is not the end game but, rather, a tool through which to offer and support the more important end game – helping small businesses more effectively and successfully compete with big business. As small business retailers as well as being a software company, the people running Tower Systems understand more than an average POS software company about retail and how retail operates. Knowing how the software is used from inside a retail business helps drive enhancements to better serve the needs of retail businesses. Employee theft check service. We delve deep into your data using pattern matching and other techniques to uncover possible employee theft situations – helping you act in a timely and certain matter to reduce the cost and impact to the business. Business performance analysis. Analysing your data, looking deep into your business, developing understanding and building certainty to support business plans. This fresh eyes look at your business from deep inside can deliver outcomes unexpected for small business retailers. Free backup check service. A data backup is useless in any business if the backup has failed and often you will not know if a backup has failed unless you check it. This free service from Tower Systems offers small business retailers certainty and surety as to the quality and usefulness of backups. Supplier performance comparison. Looking at how suppliers perform can help small business retailers to make better, fact-based, decisions sooner in business. Retail channel performance benchmark. The regular thorough business performance benchmark studies undertaken by Tower Systems are used by brokers, analysis and others in businesses researching the specialty retail channels served by Tower. Business advice. This is the most important service as it is free-from and based on specific business needs and queries. Tower Systems provides access to a range of people in the business to be sounding boards providing advice, insights and suggestions based on discussions that can lead into almost any part of a business. POS software companies are not all the same. Often it is the services provided outside of the software and away from what is traditional that can make a big difference between POS software companies. This is where Tower Systems excels – in leveraging comprehensive skills and experience from decades of service to help small business retailers achieve more from their software, much more than they ever expected. You only have to sit in on the Tower Systems help desk to hear the calls that are not traditional for a POS software help desk and to find out first hand ow different the company is and how valuable its services can be – beyond the software itself. The major retail seasons of Christmas, Easter, Valentine’s Day, Mother’s Day, Father’s Day and others work a treat at bringing shoppers out, depending on the type of retail store you have. It is not enough in today’s retail climate to expect these major seasons to lure the traffic you need in your business. You have to do more by being bold, engaged and relevant. Local small business retailers create their own buzz through a range of activities to bring shoppers in during quiet times. They can do this locally and from far afield – reaching beyond the usual catchment area for their businesses. Small and independent specialty retail businesses have an opportunity to play outside the major seasons as the larger retailers tend to ignore these times. Engage with your local community. Seriously and genuinely and in ways big businesses cannot. Have a relevant offer, an offer with context between the major seasons. Being smart beyond offering a traditional sale or some other price based offer. Have a marketing strategy for promoting your event and creating local buzz without the cost of a major campaign. Here are some simple ideas for creating a buzz between major seasons. Engage your suppliers. Suppliers often have product they want to move. You can be the place for achieving this. They should provide stock at a huge discount. Pass this on. Consider reconfiguring your store into a warehouse for the event – bring the outlet to the town or something along those lines. Connecting with a temporary outlet idea enables you to play in the price space without calling what you are doing a SALE. Have a competition. Get your suppliers to throw in some prizes. Run a competition for those visiting your retail store. This could be a great traffic driver. Half the battle with retail is getting people through your front door. A good competition with great prizes can achieve this. Connect with the community. Find a way through the offer of raising funds for a local charity. By supporting a local charity you engage the members and supporters of the charity to support your efforts of raising funds for them. Change the look of your shop. From the front window and throughout, create a different look so that those walking and driving past notice the difference. Be different. Look for opportunities to genuinely innovate. The bigger the difference between what you do and how you do it and a usual sale or the efforts of your competitors the more you will be talked about and, hopefully, the more traffic you will generate. Kick off with an event. Host and event outside your usual trading hours. Make sure that the event itself has some buzz. Get local identities to attend. Connect back to the local community group you are supporting. Invite the local media outlets. Make the event a fun night. These ideas are designed to get you thinking of different ways you can creatively promote your business outside major seasons. Too often, retailers do what is expected and then wonder why their sales performance is just average. Go all out and create a between season buzz which you own and off of which you reap wonderful rewards. Small business retailers often feel overwhelmed y the sheer size of big business competitors, that they are national, on TV, on billboards and embedded in the habits of shoppers. You can feel unprepared for the competition, unable to cut through and gain the attention necessary to build a viable business. Indeed, worrying about the competition can be debilitating to small business retailers. Our advice to small business retailers is to focus on how you can compete, on how you can show the value of shopping in your independent small business and how you better serve your shoppers – in a way that pitches your competitiveness against big business retailers. Smart POS software helps independent retailers achieve this. It does this in a range of ways that empower small business retailers and encourages them to focus on the optimism within their businesses rather than being drawn to what is happening in and for a big business competition. Professional and accurate selling at the sales counter. No out of stocks of popular lines. Identifying growth green shoots so the business management and owners can concentrate on these good news points. Discount vouchers offering $$$ off the next purchase in a set period of time. Buy X get Y FREE to drive volume purchasing over a target period of time. Offering LayBy or LayAway with professionalism and consistency. Offering value-add information, care instructions and product advice on receipts with purchases. Professional management of refund requests. Tracking sales associate performance with the ability to reward based on performance. Tracking supplier product performance so you can focus more on suppliers who drive success for the business and less on suppliers who do not drive success for the business. Tracking shopper purchases and thereby better understanding the value of a shopper over time. Theft management at the employee and shopper levels – top mitigate the impact of theft on the business. Small business retailers can compete with big business by using good tools in their businesses, tools that are fine tuned for their type of business. This is what Tower Systems offers speciality retailers in a range of retail channels. Tower Systems earlier this month re-launched Inkfast, an online ink and toner business serving small businesses and indoivuals in the efficient and cost effective supply of ink and toner to anywhere in Australia. Developed as part of a broader e-commerce strategy, this new version of Inkfast leverages the latest e-commerce platform tools as well as automated supplier integration, secure payment processing and fraud mitigation resources. The learnings developed in-house by Tower Systems in developing Inkfast play into the e-commerce strategies used by Tower Systems in its work with small business retail customers. Inkfast is Tower Systems walking in the shoes of its own customers. When we advise someone about an e-commerce website, we draw on our own experiences from Inkfast and other sites we have developed and that we operate. Too often software companies develop in a lab without real world experience. Tower Systems is different. Online and offline we use our software ourselves, driving it to the end and developing the software to go beyond the edge and serve in unique and valuable ways. Eziroster, the free cloud based roster software released in beta by Tower Systems is attracting plenty of small business users. Offering roster setup, management and budgeting tools, Eziroster is a free service from Tower Systems available for any retailer, offering money-saving opportunities for small to medium retail businesses. Developed as part of a broader cloud strategy, Eziroster is being embraced by retailers from a variety of retail channels keen for more effective employee rostering and management tools. Tower Systems has announced that Eziroster will continue to be free, as part of its small business pay it forward commitment – a commitment to help small business retailers beyond what is traditional for POS software companies. In addition to the free Eziroster facilities, Tower Systems offers small business management advice to help small business retailers properly use the Eziroster tools for their maximum advantage. Going beyond the software itself in this way helps small business retailers reap even greater rewards. Small business POS software company has launched a POS software integrated web developer service, bringing online and offline together in a common technology platform. Built around leading e-commerce technologies, the Tower solution enables high street retailers to setup online stores populated with some or all inventory from the high street store. Developed using best practice techniques, the Tower solution offers small business retailers a fast, easy and appealing route to market for an online store that is desktop, tablet and mobile friendly. With several e-commerce sites already live, the online retail team at Tower Systems has personal experience they can point to to reference their capabilities as well as business learnings that will be useful to small business retailers. The seamless and live link between the Tower POS software and the e-commerce site is a winner. Flexibility is the key to success of the small business loyalty software for retailers from Tower Systems. refined over many years in close consultation with small business owners and managers, the loyalty facilities in the Tower software are proven from the traditional points based facility to the lucrative discount vouchers to the buy X get Y FREE tools. Flexibility is the key here. In addition to the valuable suite of loyalty facilities for retailers, Tower Systems links to external services such as FlyBys and other loyalty solutions used by groups and others for connecting stores and making loyalty more valuable than only for one store. But wait there’s more as they say. There is more quality thanks to the links in the Tower software for connecting small business retailers with their suppliers, often the businesses funding the loyalty offerings. Flexibility, maturity and and commercial value sit at the heart of the loyalty facilities included in the Tower software. Small business retailers who want to purchase a POS software package and not have to rely on other partners to run loyalty facilities can achieve this by partnering with software company Tower Systems. They can rely on Tower to not only delivery excellent loyalty facilities today but to enhance them tomorrow, next year and beyond as the company maintains its software as a best practice solution for small business retailers in a range of specialist retail fields. This is what Tower does – serving specialist retailers with exceptional software on which they can rely to grow their businesses thanks to loyalty facilities and more. The whole food store software released by Tower System is proving to be popular in helping whole food stores across multiple parts of their businesses. Our latest whole food store customer was installed last week in Tasmania – a beautiful part of the country. Whole food stores use our software in many ways including traditional point of sale functions such as scanned based selling, tacking customers, reordering product, loyalty programs and more. Scale integration for selling produce. Flexibility in handling multiple package sizes for each product. Splitting items purchased in bulk dow to retail packs of your choosing. Packaging several items together to create a pack – and reversing this process, which is most important. Including product nutrition and or instructions on shopper receipts. Creating your own barcodes for items you ‘make’ for sale. Whole food stores of all sizes and in a variety of situations use the software to improve efficiency, consistency and enjoyment. What is even more important is that the software will continue to evolve to meet the evolving needs of whole foods retailers. This is important. It is where locally developed software works well – evolving to the needs of local retailers. Tower Systems currently serves in excess of 3,000 small business retailers in a number of retail niches. We are a specialist software company developing and selling specialist software. The software we sell to whole food stores is software tailored to their needs, to serve needs specific to that retail channel. This focus on specialisation is something we do with care and attention – it comes from decades of service to multiple retail channels. The software we sell we develop ourselves. It is fresh, and current – completely different to what we sold years ago thanks to the advice and guidance from our engaged customers who make suggestions for new areas we can serve in the software. We release updates several times a year – keeping your software up to date and ready to serve your current needs. Sometimes, our software is not the right fit. We respect this and do not pressure people to purchase software that is not right for them. Our reputation is too important to strong-arm people into buying something that is not right for them. Small business retailers feeling glum or downtrodden about their businesses can always find green shoots in their business data – green shoots of optimism off of which they can build positive steps toward greater success. Here at Tower Systems we look at business data for all sorts of businesses, looking for green shoots so we can share good news and use this as a pathway for exploring success opportunities. Every business we look at has opportunities. Large and small. City and country. Every business has some good news in their business performance data that can be a structure off of which to build more success. We are grateful for the opportunities we have to help small retail businesses to grow. Everywhere retailers look today they are confronted with a new paradigm, a new approach to doing business, regardless of their area of specialisation. Over recent years the fundamentals of retail have changed and some retailers are yet to notice and embrace the change. The new paradigm, while impacting all retailers, is not universal. There are nuances by channel and there is where specialist Point of Sale software can help a retailer navigate to the change in circumstances. The customer is at the heart of retail today, more so than ever before. Thanks to universal access to pricing, product and other information, the customer is more informed and powerful than ever before. Whereas in the past a retailer knew of their key competitors based on their geographic location and could therefore research and understand them, today’s competitors could be anywhere in the world. Indeed, many shoppers are spending time with a competitor of a retail business while actually in the business… such is the power for the customer thanks to smartphones and easy access to the online world. Many retailers have made them mistake of thinking that the new paradigm is merely about bricks and mortar retail versus online. That is barely the beginning of the new paradigm. Indeed, it goes way beyond such a basic comparison. The only way to compete in this new world of retail is to genuinely and wholeheartedly place the customer at the centre of everything you do. From the moment they step near, physically or virtually, your business you need to embrace them with an embrace unlike ever before. No, not a hug, nothing physical. The customer embrace in this new world of retail is about value, from as soon as a customer is nearby. Value in service, advice as well as price. This is where bricks and mortar businesses can win against online… if they understand how to demonstrate value through a range of touch points in their business. Central to delivering value is the core efficiency of the business itself. Retail businesses need to operate at a level of efficiency which enables them to compete on price. At the same time they need to ensure that all sales associates are able to transact with shoppers wherever they are in the store. They need to be able to be the most knowledgeable people in the store without necessarily having the most experience. This is where good Point of Sale software, ideal software for the type of retail business, can provide a retailer with a point of difference and a structure through which to embrace the new customer-centric paradigm. It is not enough to operate a basic cash register type system as that will deliver only basic results and basic will not cut it today with competitors around the globe. Retail businesses which specialize need specialist software. The result is a stronger, smarter and more nimble retail business. Good specialist Point of Sale software will, if used well, enable a bricks and mortar business to not only compete but grow in this world. This is an opportunity for retailers, an opportunity to embrace change and to thrive against what may seem to some like insurmountable odds. Drive your relevance, use your software, chase change. Here at Tower Systems we take serving our small business retail customers seriously. Our company is open for business 24/7. Our help desk is accessible 365 days a year. Our knowledge base articles are regularly updated and this blog is updated daily – reflecting that we are live, fresh and in service of our customers. We know most of ur small business customers are open 365 days a year so it is appropriate we are here on this blog as well as through our help desk for them. Personal and accessible service is vital to small business retailers and the best way we can demonstrate this is by being here for queries, help and assistance. 24/7. 365 days a year. The automated cloud based backup service offered by Tower Systems is popular with retailers keep for the ultimate in protection. Thanks to best-practice infrastructure in-store and a secure data storage location in a remote server farm, Tower Systems is able to offer its customers the type of data protection usually only seen in big businesses. Accessed through a cloud based platform developed by Tower Systems, retailers partnering with Tower are able to leverage a peace of mind not usually offered at the small business level. They are able to tap into this for a low that is considerable less than the cost of daily labour they save. The Tower Systems cloud based backup service is cash-flow positive for any retail business. It is part of the Tower AdvantageTM service. The small business loyalty software in our POS software is helping more and more specialist retailers such as jewellers, bike retailers, garden centres, pet shops, newsagents, gift shops and homewares shops to compete with big business. Indeed, smart loyalty facilities in small business software are crucial to helping independent and small retail businesses to win against ferocious national competitors. $$$ off the next purchase. And, a mixture of the above configurable to the needs of a business. The flexibility and options embedded in our small business loyalty software win us ne customers and help existing customers derive better outcomes from their own customer relationships. In five minutes Tower Systems kicks off another free live online training session for small businesses using its POS software. Today’s session us Using Targeted Marketing. Consistency is everything in software, especially small business POS software. Tower Systems demonstrates its consistency in offering these weekly free online training sessions years after they first started. We are committed to helping our small business retail customers derive greater value from their IT investment and training is one key to achieving this. Local small business retailers know this more than most. Customers like supporting businesses that support their local community. Living and being local is a valuable point of difference for local small retail businesses. The same is true for software companies serving small business retailers: being local matters. Tower Systems is local. We develop POS software in Australia and New Zealand for specialist retailers: jewellers, bike shops, garden centres, newsagents, pet shops, toy shops, adult shops, gift shops and firearms retailers. We support local suppliers, local marketing groups, local industry associations and make our management and software teams available for local business interaction. Our local relationships help us make better software and back this with better service. Tower Systems appreciated the opportunity to mix with lottery retailers in Perth last week at the annual Lotterywest conference. Catching up with many clients using our smart newsagency software as well as talking with newsagents and lottery retailers not using our software, the conference was a terrific business building event where valuable business growth ideas were shared. Networking with small business retailers away from the software company office is important – from being in the shops of customers to business conferences such as this one. Tower Systems embraces opportunities to meet with small business owners and their suppliers for it is at gatherings such as this that we explore further enhancement of the software to serve retailers and suppliers. With more than three hundred customers in Western Australia, Tower is well established in the WA marketplace. Tower Systems is proud to have its #smallbusiness POS software on show at the Sydney Gift Fair at Glebe Island from this weekend. We are bringing new software and new facilities to the show to share with attendees. It appears from the roster of suppliers that ours is the only Australian designed and developed POS software product on show. Serving well over 3,000 retail businesses in Australia and New Zealand, Tower Systems is well resourced to serve specialist retail businesses in a range of niche retail channels. 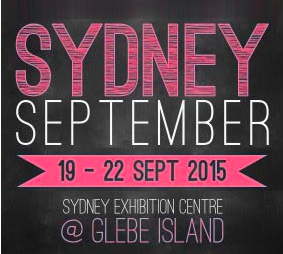 We are on stand P61 at the Sydney Gift Fair. Jewellers. Jewellery / watch repairs. Garden Centres. Landscaping services management. Workshop management software, or repairs software as we call it, can be used for managing other parts of business where services are provided including where you may outsource services outside the business. We provide tracking, billing and other tools in facilities developed with several different types of businesses offering these services. Serving a number of specialist retail channels as we do helps us provide more comprehensive and flexible software. Using our software for your type of business you can systemise the promotion and management of repairs services and through this drive more business for your workshop. A good workshop is a valuable point of difference – hence the importance of promoting this and bringing consistency to the use of the services. Employees are your front line of any independent retail business. They can make or break your business. You hire them, train them, motivate them and fire them. Their performance is on you. Ensure they know the goal of the business. Listen to their ideas, seek their counsel. Small businesses are unique in many ways. Employees play a vital role in reflecting and leveraging that uniqueness. Tower Systems helps small business employers to encourage and manage employee engagement in a range of ways in our specialty retail software. Is your #smallbusiness POS software help desk open on a Saturday? The Tower Systems small business POS software help desk opens for business in five minutes, like every Saturday. This live, office based, service has been a fixture of our customer service for many years. It is in addition to our 24/7 help desk service managed via mobile phones. The office based POS software help desk service on a Saturday service helps us deliver a more complete service on a busy day of the week, logging into client businesses at their request and under their watch to resolve questions and issues. The service also includes providing personal training and business management assistance. The Saturday help desk service provided by Tower Systems is another point of difference for us, a point of difference of which we are most proud. Here is a new video from us made especially for those who have purchases a retail business that is already running our POS software. This video is one of many new videos we have produced in house for our customers.